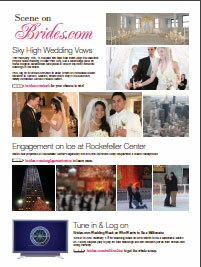 A private event hosted by Brides.com for elite Bridal Events guests to meet and mingle at The New York Public Library. 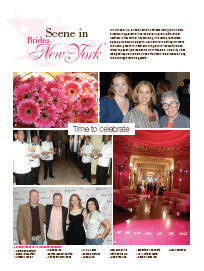 Essentially Chocolate was honored to be invited and also was distinguished to be chosen as a vendor. From the Salon du Chocolat in Paris, France comes the New York Chocolate Show in its 11th year (November 6th, 2008). This show is an international event covered by the world media. Essentially Chocolate was selected among the top chocolatiers to participate in this fashion show. A show house on New York’s upper east side, designed to inspire the perfect wedding and plan the newlywed’s first home. Essentially Chocolate was featured to host “Perfect Pairs”, a pairing of chocolatier and wine expert. More international coverage of the Chocolate Show on ITN Networks. The 2008 theme was superheroes, with the requirement that over 40% of the costume be made of chocolate. The superhero costume we created was that of “Storm” from X-Men. 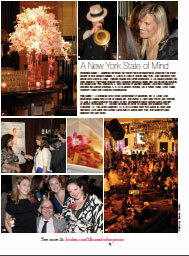 A private event hosted by Brides.com for elite Bridal Events guests to meet and mingle at New York’s famed Cipriani’s 23rd. Essentially Chocolate was honored to be invited and also was distinguished to be chosen as a vendor. An exciting and successful event for all. Coverage from NBC4 in New York City. The "Storm" headpiece design of the New York City skyline weighed over 13 pounds, the cape had over 120 chocolate rings, along with a chocolate bustier, added quite a bit of excitement down the runway. Enjoy some of our photos and footage from the show! From the Record: "Essentially Chocolate’s Chef Dina is featured preparing the chocolate costume of the superhero Storm from X-Men for the 2008 Chocolate Show. Chef Dina chose a fellow French Culinary Institute graduate as her partner for the event."